Reminders of people we loved come in many forms; sometimes it's a song, a lingering perfume, or a bestowed piece of jewelry. When we are in the presence of these reminders, we are happy because we feel close to that love. Often now we hear people speak of wanting experiences over things. We are on the same page. Things come and go, but an experience can change you. Certainly important people in your life change you and when you no longer have them, a memento can keep them close. The experience of making a custom creation honoring a loved one eclipses anything you could buy. We found it very apropos that as Mother's Day approaches we worked with a new customer who brought in a brooch from her grandmother to repurpose into something she would use. 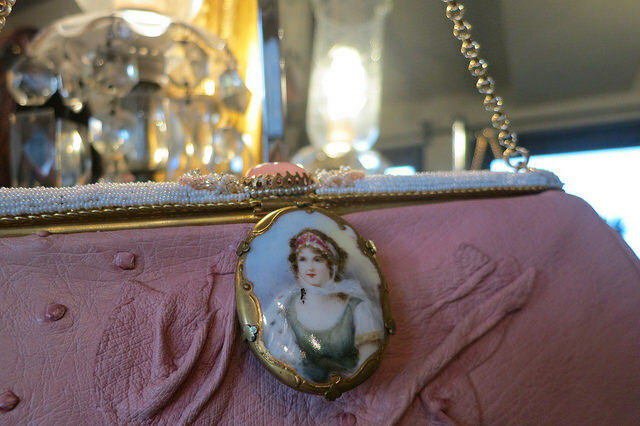 The results were not only a gorgeous bespoke bag, but a treasured reminder of someone she loved. This makes us all happy. The brooches Jessica brought to the studio were pieces she inherited from her grandmother. More than lovely antique pieces of jewelry owned by her grandmother they were viewed as a family legacy. The picture of the woman on the brooch, the original owner, was a relative of her grandmother. Now we were working with a real piece of history. Jessica deeply cherished the gift from her grandmother although rarely had the chance to wear the antique jewelry. 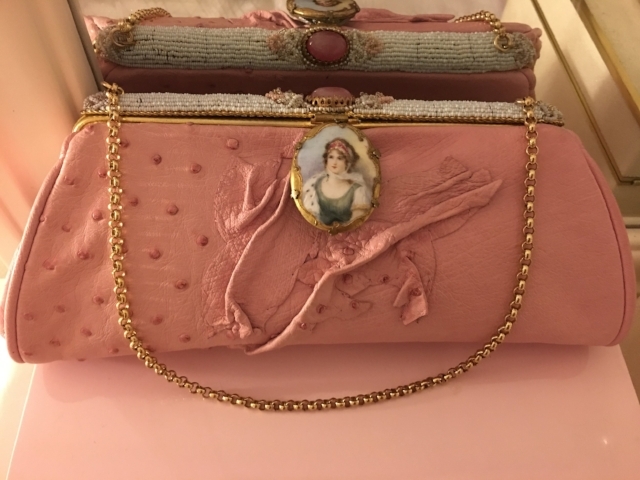 After discussing with Anthony options to incorporate the brooch into something more wearable, they landed on creating a frame bag in which the brooch could be used as the clasp. 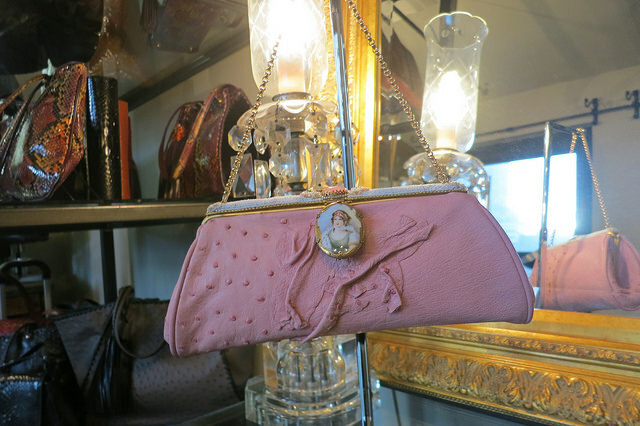 The hues of the portrait were a perfect match with petal pink ostrich embossed leather. Our client was thrilled with the outcome. She loves that the vintage brooch feels congruent with the vintage frame and now carries it everywhere. "It's like taking something out of a treasure box and giving it a second life after a hundred years." All Anthony Luciano vintage frame bags are a collectible piece of history, both past and future. While the frame tells the story of a woman of a different era, your new bag will capture the story of you, to be passed along to future generations. What will that story be?